Clutch Repairs Swansea | Competitive prices | Keep Driving Auto Ltd. Looking for clutch repairs Swansea at a great price? Keep Driving Auto, are a local garage in Swansea with specialist technicians that can repair or replace clutches on all makes and model of vehicle. The clutch is an essential aspect of the transmission of your vehicle which engages and disengages the gearbox. If you are experiencing a spongy clutch, grinding or juddering when changing gears, it is possible that you may require a clutch repair or replacement. Whether you have a manual, semi automatic or DSG transmission, our specialist clutch technicians have the expertise to offer high-quality clutch repairs at a great price. Contact us for a free quote. If you experience any of these issues with your clutch, we advise you to come down to our garage for a clutch inspection or give us a call for a free quote. A faulty clutch isn’t something to ignore and should be dealt with as soon possible before it becomes more costly to repair. Whether you have a manual or semi automatic transmission, our specialist clutch technicians have the expertise to offer high-quality clutch repairs at a great price. Contact us for a free quote. 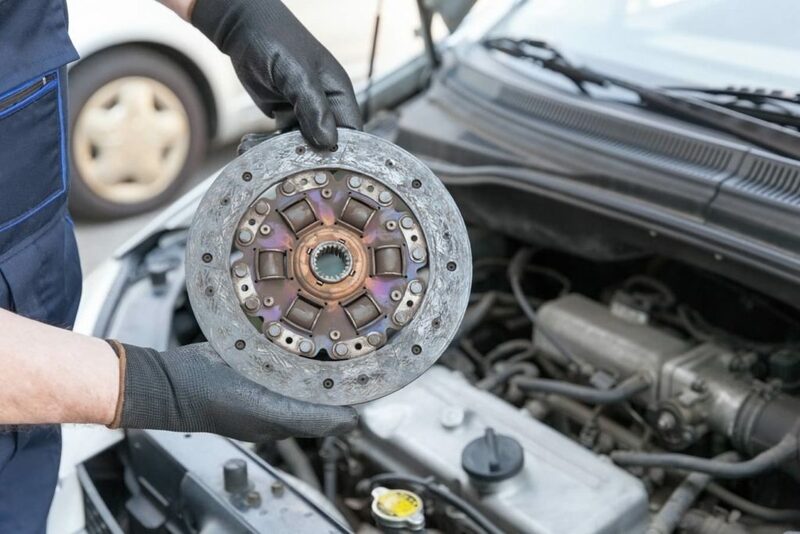 If you need your clutch repaired you can be assured that we will provide a high-quality clutch repair because we only use high-quality replacement parts. Furthermore, our prices are highly competitive and we strive to get your car back to you as soon as possible so you can keep driving. If you think you need clutch repairs Swansea, contact us for a free quote. Our qualified mechanics can give you an estimate over the phone. Alternatively, bring your car to our garage workshop here in Swansea and we can give you a firm quotation.